Target of release candidate is to ease the usage and testing. It is a version with a huge set of new features and enhancements, the first one using the SIP Router core framework, thefore we focus on heavy testing. Both documents still need a lot of care since many new features are missing or are not detailed, and definitely update guidelines do not cover all changes. Anyone can contribute and that is very much appreciated. As we keep hunting and fixing issues, improve documentation, I hope to get to full release Kamailio 3.0.0 very soon. Enjoy RC1 meanwhile and report any issue you find to sr-dev at lists.sip-router.org. This is a wiki page, open for improvements to everybody. A new release in 1.5 series was published yesterday. 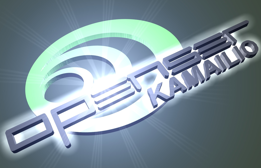 Kamailio (OpenSER) 1.5.3 is based on the latest version of branch 1.5, including many fixes in code and documentation, therefore those running 1.5.0, 1.5.1 or 1.5.2 are advised to upgrade. Next major release, Kamailio 3.0.0, with lot of new features and many improvements, is planned very soon, about the date of October 29, 2009. I believe is feasible, in the worse case we can package it at respective date and allow a bit more time for testing, but we unfreeze code and can go for new development. I encourage people to start writing migration documents. The event was organized by FhG Fokus Institute, the place where was written first line of code for SIP Express Router (SER) and implicit of Kamailio (OpenSER). Going through hot topics and discussions, we tried to solve current issues and to set the direction of development for next year. The day before SIP Router Devel Meeting in Berlin, I had very interesting Skype discussion with Suzanne Bowen about the VoIP environment today and Kamailio SIP Server project. Astricon 2009, the annual Asterisk conference, takes place in Glendale, AZ, October 13-15. Saúl Ibarra has a talk "Asterisk, Instant Messaging and Presence: how? ", touching the topic of integrating Asterisk and Kamailio (OpenSER) to get SIMPLE presence. A session that is worth to attend and discuss about with Saúl. He is very active in IP communication and Kamailio world, with interests in SIP and virtualization, involved in SIPdoc.net project, developer of YASS and blogger.